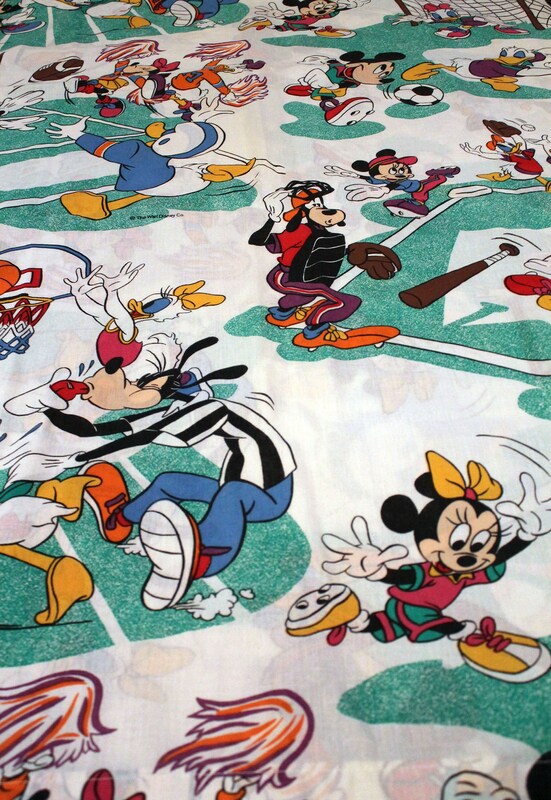 This is a fun sheet featuring Mickey Mouse and his friends playing a variety of sports. The average height of the characters is about 6". 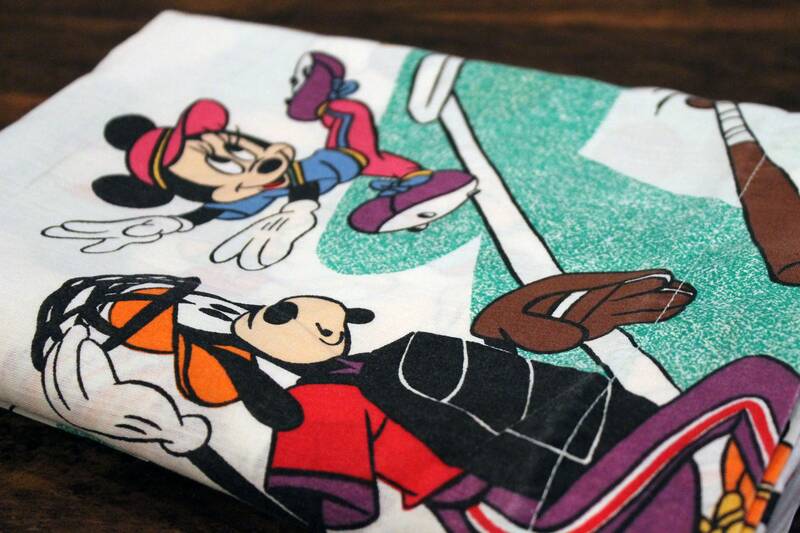 This is the perfect gift for a Disney fan. 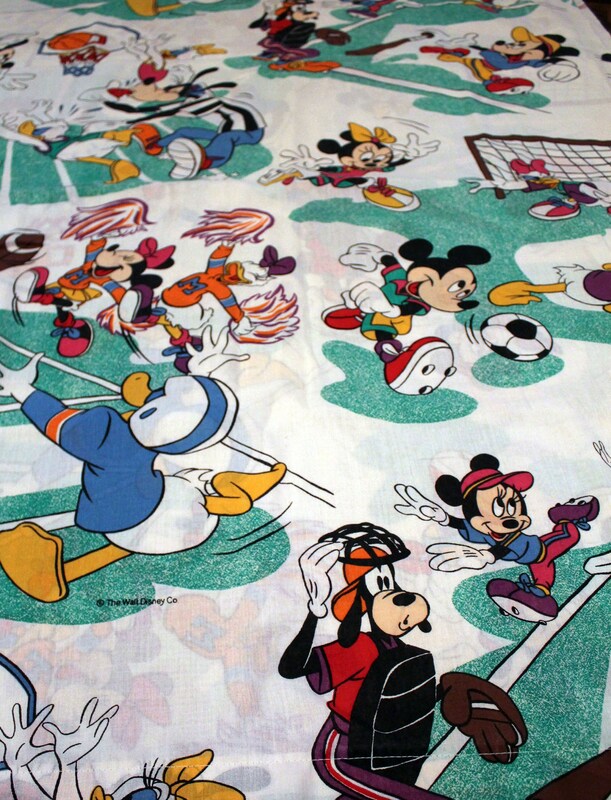 Condition: This sheet has been used, but in overall very good condition. 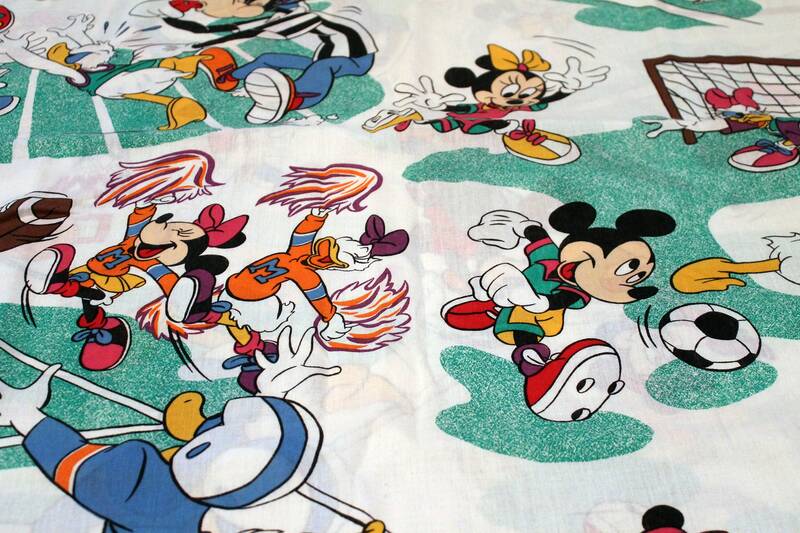 It has no holes, stains or fading. The colors are still vibrant. Because this item has been used, I am unable to confirm if it has been around smoke or pets. 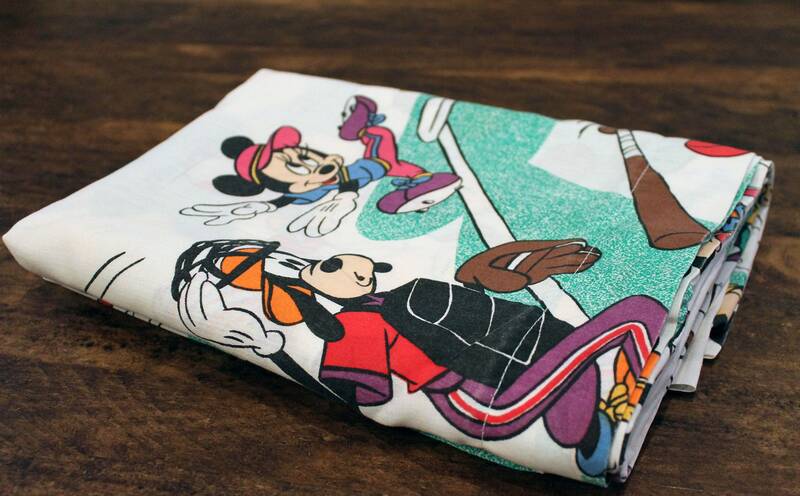 All items are machine washed and dried before shipping.